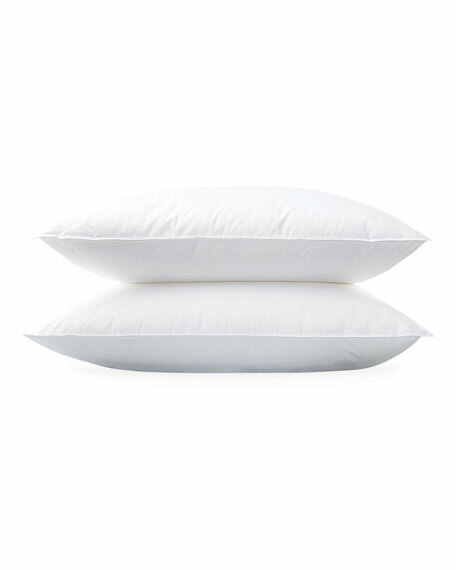 Matouk Libero Soft Queen Pillow, 20" x 30"
Soft pillow with cotton percale shell. Handcrafted pillow with assorted 3D dot appliqués. Removable down/feather insert. Hidden zip cover. Polyester. Dry clean. 14" x 24". Made in the USA of imported materials. EXCLUSIVELY AT NEIMAN MARCUS Pieced boutique pillow with silk piping finish. Hidden zip closure. Front, polyester/silk. Back and fill, polyester. 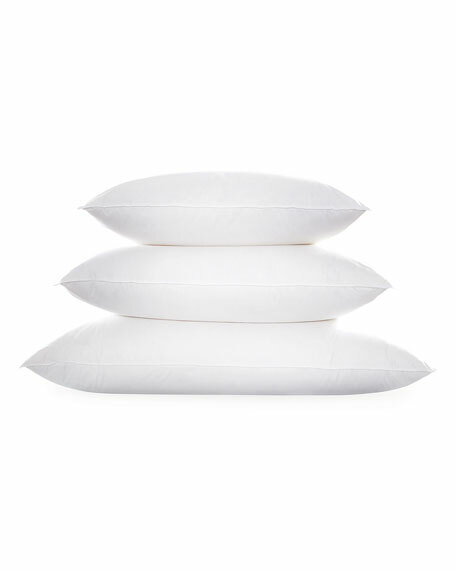 EXCLUSIVELY AT NEIMAN MARCUS Pieced boutique pillow with silk piping finish. Hidden zip closure. Front, polyester/silk. Back and fill, polyester. 20"Sq. Dry clean. Made in the USA of imported materials.